Audi launched manufacture from 1991 of automobiles model 80, modification of 2.0 E and finished it in 1995. This 4-door sedan has a length of 4.5 meters, weight 1.2 tons and is assigned to fit 5 people including the driver. 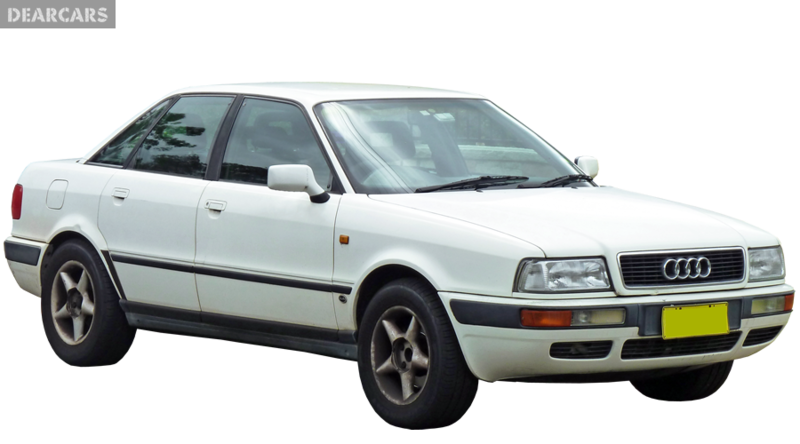 «80 2.0 E» have a front wheel drive vehicle with a 5-speed manual gearbox. This vehicle can be accelerated for 11.8 seconds to 100 km/h, with a top speed of 190 km/h, due to a 4-cylinders petrol motor engine with a «multipoint injection system», which generate a maximum output of 116 hp at 5400 rpm. Gas tank volume of this auto is 66 l of petrol, thereby when intermediate fuel consumption is 8.5 l per 100 km, accordingly allows drive about 777 kilometers unrefuelled. The front wheels of this automobile have ventilated disks brakes and fixed to the chassis by dint of suspension «MacPherson, independent, coil springs» and equipped with anti-roll bar. Rearward wheels have disks brakes and attached to the underframe through suspension type «Semi-independent, coil springs» and equipped with sway bar. Tires have the following size - 195/65VR15. 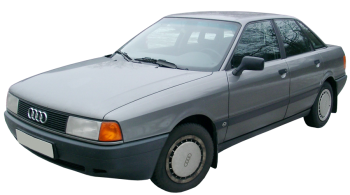 Audi 80 is not examined for Euro NCAP crash test. This car has passive safety systems (driver airbags), however there is no active systems of safety.